The purpose of this guide is to outline and discuss the main income tax rules and business issues that apply to woodlot operations in Nova Scotia. It is not intended to be a comprehensive tax guide. Other taxes (e.g. GST/HST, property, deed transfer, etc.) are outside the scope of this guide and will not be dealt with. A glossary of terms is provided at the end of the module. In this guide, the word “woodlot” is used in a broad sense to mean land covered with trees. A woodlot includes treed land held primarily as a source of fuel, posts, logs or trees, whether the trees are grown with or without human intervention. The term also includes treed land that is part of a cottage property and a farmer’s wooded land. Income tax rules and tax planning opportunities with respect to woodlots are complex. Of necessity, this guide will discuss issues from a broad perspective only. It will not attempt to investigate all the traps and pitfalls of the increasingly technical legislation. In the application of the following discussion to a particular situation, competent professional assistance is highly recommended. Where a taxpayer acquires a woodlot with intention to sell or resell the wood and operates a woodlot as a business with a reasonable expectation of profit, it is called a commercial woodlot. A woodlot that is not operated by a taxpayer as a commercial woodlot is referred to as a non-commercial woodlot. 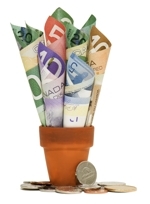 The determination between commercial and non-commercial is extremely important, as it is used to determine how your revenue is taxed by Canada Revenue Agency (CRA), which will be discussed in more detail under Business Income and Capital Gains. See Appendix 1 for a decision tree on nature of business and income. - Do I have a forestry management plan? Is it comprehensive? Am I implementing it? - How much time do I spend on the woodlot operation compared to time spent on other income earning activities? - How big is the woodlot? (It may be too small to give a reasonable expectation of profit). - Do I qualify for some type of government assistance? - What annual revenue, profits, or losses has the woodlot made in the past? - What are my farming or forestry qualifications (education and experience)? - Do I belong to an association of woodlot owners or other relevant professional business organizations? No single factor will determine if your woodlot has a reasonable expectation of profit. Some factors may be more important than others, depending on the circumstances. For a woodlot operation to have a “reasonable expectation of profit”, a taxpayer should be able to show that with experience, time spent on training, skills, plans and financing, the operation will be profitable over the long run. It is not sufficient to purchase or own a property and hope that it will yield a profit. A mixed-use woodlot is one where part of the property is personal (non-commercial) and part is business (commercial). Canada Revenue Agency determines what the principal use of the property is. If greater than 50 percent is used personally, it is considered a non-commercial woodlot, and, if greater than 50 percent is business, then it is a commercial woodlot. This is done on a deed-by-deed basis therefore, if the property consists of several separate deeds, each one is considered independently. Is my Commercial Woodlot a Farm Business? Note that this list is not exhaustive and it has been determined by the courts that the word farming can include growing trees. The Canada Revenue Agency takes this view: if the main focus of the woodlot business is not lumbering or logging, but is planting, nurturing and harvesting trees under a forestry management or other similar resource plan, and significant attention is paid to managing the growth, health, quality and composition of the stands, it is generally considered a farming business (a commercial farm woodlot). Under these circumstances, reforesting an area of land to produce mature trees at a date that may be 40 to 50 years in the future would be considered farming. Reforesting is usually a combination of planting and naturally seeded regeneration. Naturally seeded regeneration by itself would not amount to a farming business. If the main focus of a business is logging (a commercial non-farm woodlot) - not growing, nurturing and harvesting trees - carrying out reforestation activities would not transform that business into a farming operation. A woodlot owner who grows evergreens to sell as Christmas trees is regarded as being in the farming business regardless of whether he is carrying on any other type of farming operation - provided the operations are carried on with a reasonable expectation of profit. Where a “traditional” farmer is also a woodlot owner, the Canada Revenue Agency generally considers income from the woodlot to be income from farming. In practice, it is easier for a corporate taxpayer to carry on a reforestation, cultivating, and harvesting operation as a farming business. The indefinite life of a corporation lends itself to the long business cycle of a tree farming operation. There is a class of woodlot owners who purchase cutting rights or forested land for the purpose of harvesting and marketing the wood product. Canada Revenue Agency (CRA) considers these taxpayers to be carrying on a logging business rather than farming. While this appears generally to be the case if purchases are of mature forests only, it does seem debatable where immature woodland is being cultivated to maturity. As discussed above, where a taxpayer relies on naturally seeded regeneration, whether or not the business is a farming business depends upon the focus of the business and how the trees are nurtured. Income from a business has always been taxed differently than capital gains. Business income is fully included in income, but capital gains income is given preferential tax treatment. If the woodlot owner has a commercial woodlot (for example, actively cuts and sells the wood product with a reasonable expectation of profit) it seems clear that he/she is in business, and revenues received are included in computing business profits. On a non-commercial woodlot, where harvesting wood is not part of the taxpayer’s principal business activities, and money or other valuable consideration is received for the sale of timber or the right to cut timber, the sale proceeds are subject to tax on capital account. Generally they are taxed as a disposition of “personal use property.” A loss on the sale of personal use property is not usually deductible. Where the proceeds from a sale of timber exceed the greater of $1,000 and the adjusted cost base of the wood, the sale may result in a capital gain.3 See Appendix 1 for decision tree on nature of business and income. The portion of the capital gain that is taxable depends on the date that the sale is made. Since October 17, 2000, only half (50 percent) of the capital gain is included in taxable income. "Adventure in the Nature of Trade"
A sale of timber that is an “adventure in the nature of trade” is considered to be business income. The main consideration in determining whether a sale of timber is an “adventure in the nature of trade” is whether the taxpayer’s actions were essentially what would be expected of a dealer in the same property. Where a woodlot owner allows a person to cut and take timber and the payment is based on the volume of timber taken, the payment is normally taxable as business income. However, based on precedent from a court case, the one-time removal of all of the timber from agricultural property with a fixed price per cord or ton may be taxed as a capital gain. If a contract fixes the price for the entire cut on a per hectare basis (instead of volume harvested), then the payment may be considered capital even though payments may be made periodically during the cutting. Where a contract calls for a fixed price which cannot be varied in any event, but the timing of instalments of that fixed price is to vary depending on production or use, then a capital gain will result. For a commercial woodlot, Canada Revenue Agency requires the income to be reported when earned. This is the year in which the wood is cut and shipped, which is not necessarily when the cash is actually received. If it is a non-commercial woodlot, income is included based on the date of the sale agreement. If part of the proceeds is not due until a subsequent year, the capital gain in respect of the portion of the proceeds not received can be deferred until the taxation year in which they are due. A minimum of 20 percent of the gain must be included in income each year; therefore, it is possible to spread the inclusion of the capital gain over a maximum of five years. Note that taxpayers generally will try to spread over two years, as most do not want to wait five years for the full proceeds. For tax purposes, the business income or capital gain must be included in the income of the beneficial owner of the standing timber. The deed to the property may only be in one name, but this does not necessarily mean that beneficial ownership fully rests in that person. Similarly, property might be in the name of two or more persons but this does not signify that all individuals have beneficial ownership. For example, two names could have been added to the deed for purpose of probate, but this may not result in the transfer or acquisition of beneficial ownership. If there is a change in beneficial ownership of the property, there is an assumed disposition, and this might result in a tax liability. The rest of Part One of this guide will be devoted mainly to those taxpayers who own and operate a woodlot as part of their ongoing business activities (commercial woodlot). When computing your business income, you are only allowed to deduct expenses that were incurred for the purpose of gaining or producing income from the business.4 This provision of the Income Tax Act operates nicely when profits are being earned, but leads to uncertainty when losses are incurred. If losses continue for several years it becomes more and more important that you can demonstrate a “reasonable expectation of profit” (supported by financial projections and other evidence), as the Canada Revenue Agency is more likely to challenge you with each year that passes. If you cannot demonstrate a “reasonable expectation of profit,” the expenses/losses (net of revenues) are considered to be personal in nature and cannot be deducted against other sources of income. Types of expenses that can be deducted from business income are discussed in Part one, Lesson 3.